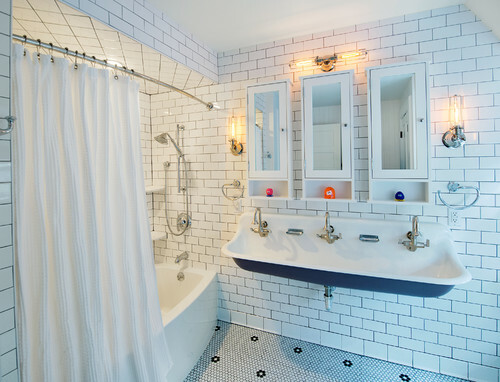 The key to working with a small bathroom is finding creative ways to make it all fit. 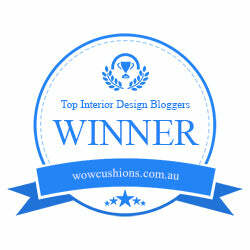 Every client has a wish list of what they want in their bathroom and as a designer, I need to figure it out. This bathroom belonged to a little girl who wanted it all, a shower and a soaking tub and I knew it would be a challenge to find the right products to make her wish come true, but I did it! One of the most important must-haves is storage. I custom designed this vanity with storage towers and drawers on either side of the sink, giving her ample space for organizing her things. 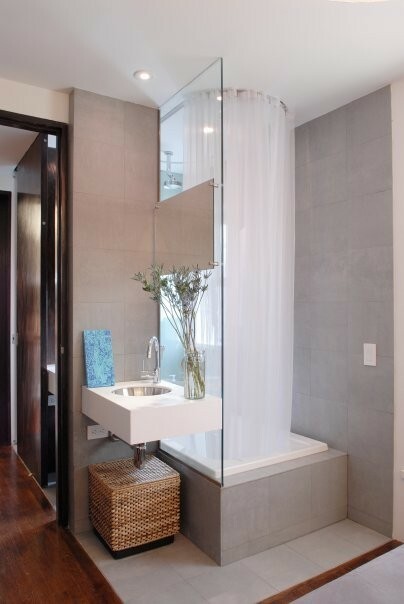 Glass shower enclosures are a great choice to use in a small bathroom because it visually opens the space up and makes you think it is larger than it is. This solution also set it up for you to use decorative tile to give just the décor you are looking for. You can find a ton of cool shower makeover options online (especially on Pinterest) to help you with this. The designers choice in toilet design also visually reduces the impact that a standard designed toilet, with the larger tank, would have. It’s really a smoke and mirrors game that tricks the eye just by the right material selections. I don’t know why I want to name this design, three men in a tub. For real, this ROCKS! I love the wall hung trough sink design, for multiple kids use bathroom. The three storage mirrors not only work well to eliminate any fighting over whose been using the others stuff, it looks perfectly adorable! Great use of space in this tight squeeze. 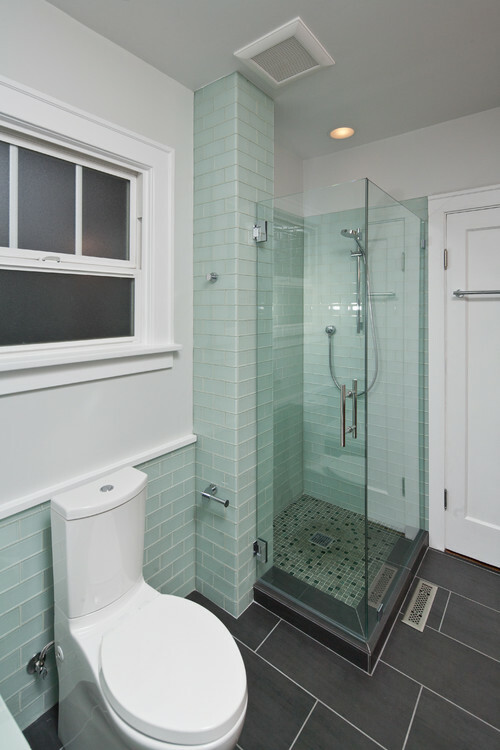 Notice that the glass shower enclosure becomes the wall in this design. Walls do not have to be brick and mortar, oh no, just a division and once again in a small space glass is king, visually enlarging the room. If you have the room to niche by all means niche. Niches are a great way to not encroach on a space. In this design, everything is built into the space created by the niche. The wall hung toilet and the vanity plumbing is all built into the niche wall. 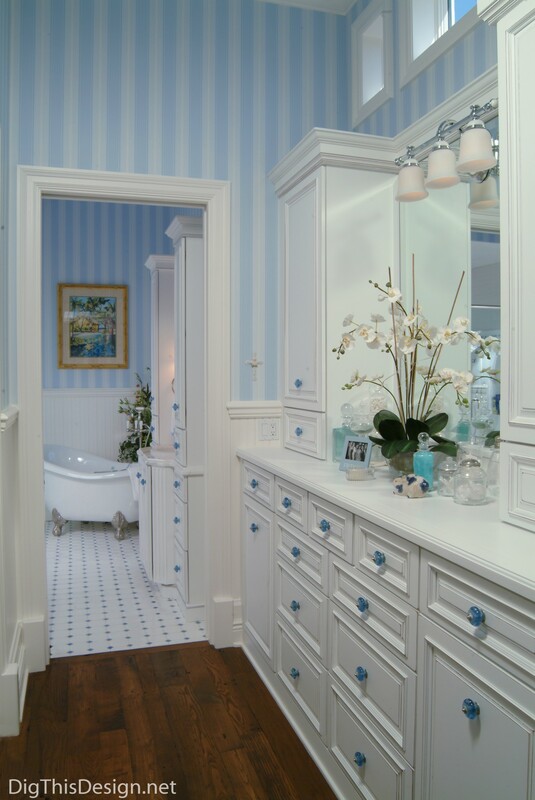 Even the recessed wall cabinets are so clever, adding ample storage to the bathroom. 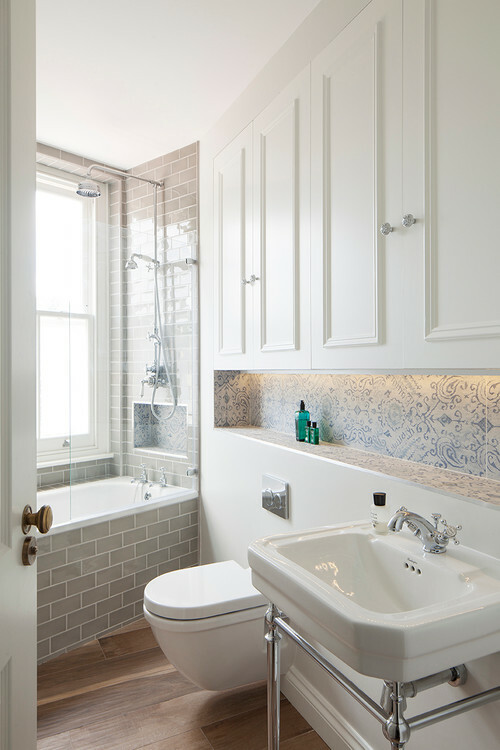 Small bathrooms are fun to design, you just need to think inside the box to make it work!